Harry Potter is just a rip off. spoof confession. Wallpaper and background images in the Harry Potter Vs. 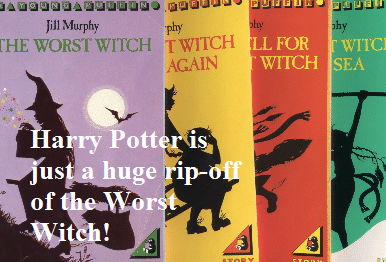 Twilight club tagged: harry potter the worst witch rip off jk rowling spoof confession. This Harry Potter Vs. Twilight fan art might contain anime, grappig boek, manga, cartoon, and stripboek.